An easy way to communicate by touching a simple button. User friendly interface with channel tree view and simple settings management. Working through 2G, 3G, 4G or WiFi networks and talk across different countries. Group chat ability and auto-reconnect feature when Internet connection is lost. Use an Android smartphone to simulate Walkie-Talkie functionality. Listen to messages and talk to the group or privately in a simultaneous way. QR Push to Talk improves work communication and efficiency, reducing communication costs and minimizing communication deteriorations. The workers can carry only one device and thus save the cost of purchasing traditional Walkie-Talkie devices and use only their smartphone for all of their working tasks. Instant communication with QR-PTT application! 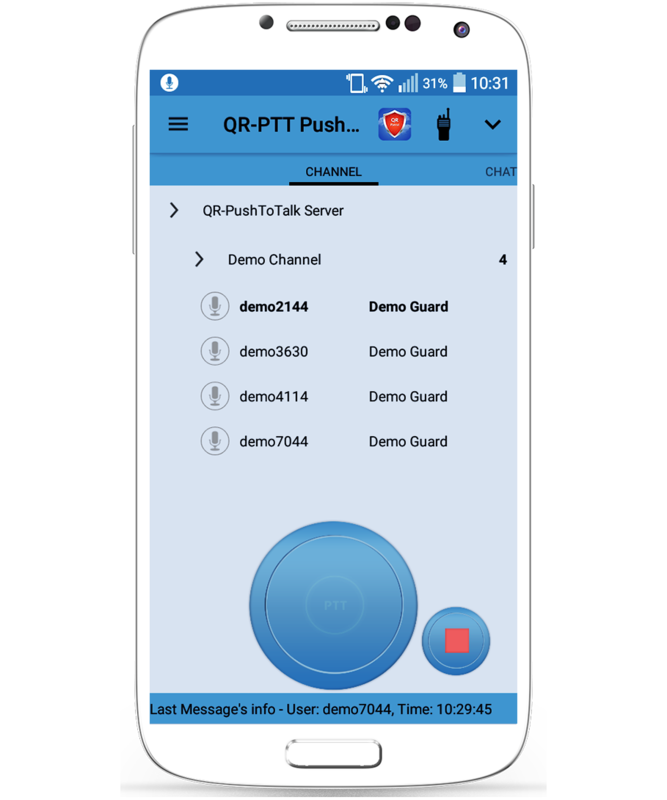 QR-PTT stays active in the background and listens even if the user is launching another application on his smartphone. So, there is the ability to multitask and listen to your channel simultaneously in real-time. 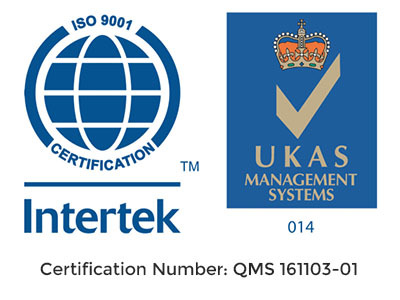 QR-PTT enables communication via a secure SSL encrypted server connection. A 256 bit voice encryption and a server connection certificate is automatically generated. Brilliant! 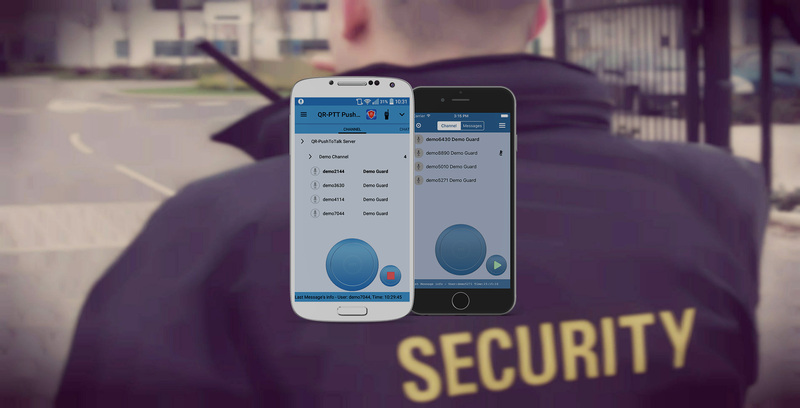 As a security guard it is really easy for me to contact with my colleagues with this app. Recommended! Use it for some time now and really like the reconnection feature and the ability to function properly even with Edge data connection. Don't have access to PlayStore? Click here to download QR-PTT for Android!